One out of every 3 households carries credit card debt from month to month, according to the 2015 Consumer Financial Literacy Survey by the National Foundation for Credit Counseling, or NFCC. Some of those consumers are managing a modest amount of debt fairly well — always paying above the minimum on every account and holding back on new credit spending until the balances are paid down. 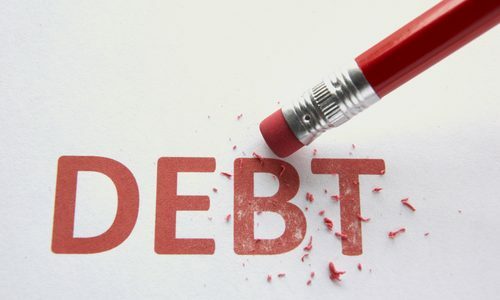 For others, however, debt is an oppressive burden that has them ducking creditors’ phone calls and struggling to keep up with even the minimum payments each month. Some may even be on the verge of bankruptcy. If you’re overwhelmed by debt, you need to make some quick and perhaps drastic moves to have any hope of getting free. “It’s not just a matter of tweaking the way you’re using your credit cards. It’s a matter of reeling in debt that’s about to send you over the cliff,” says Bruce McClary, NFCC’s vice president of public relations and external affairs. Read on, by clicking the link below, for a step-by-step guide to getting out of debt and into debt-free living. Acclaim Credit Technologies Is Celebrating Our 20 Year Anniversary!